Mobile yet defensively capable armored cars were a necessity for forces in WWII, and the 7ton armored car filled that need amply for the British: featuring effective sloped armor, a fully-rotating turret and 4WD setup, it managed a top speed of 72km/h from its 90hp 6-cylinder engine. 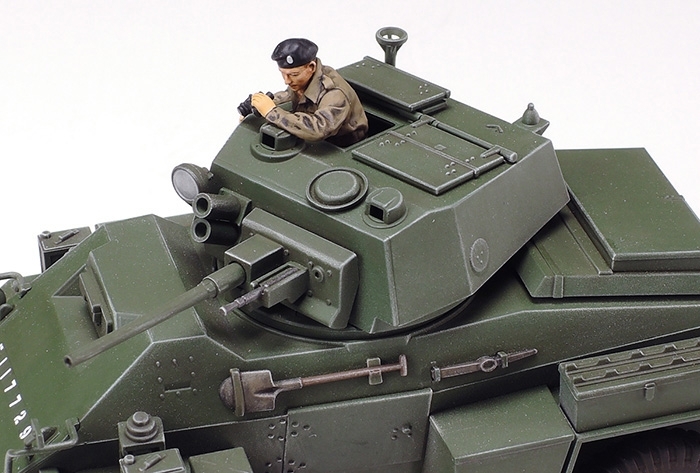 The Mk.IV was the final of its four variants and possessed the largest gun, with an upgrade from the previous 15mm machine gun to a 37mm weapon. It was also the most prolifically produced, and around 2,000 Mk.IVs rolled off the production line and into units across North-West Europe and Italy in the latter stages of WWII. 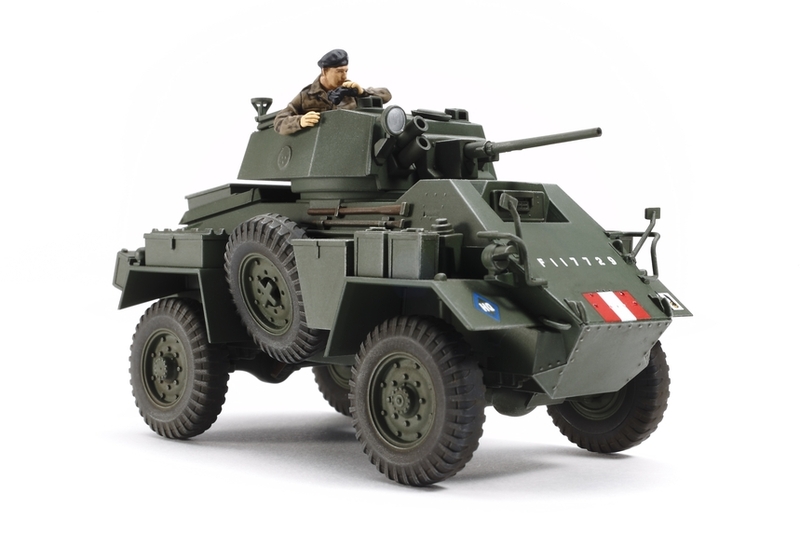 The Mk.IV was called upon as a reconnaissance vehicle and even a command car. 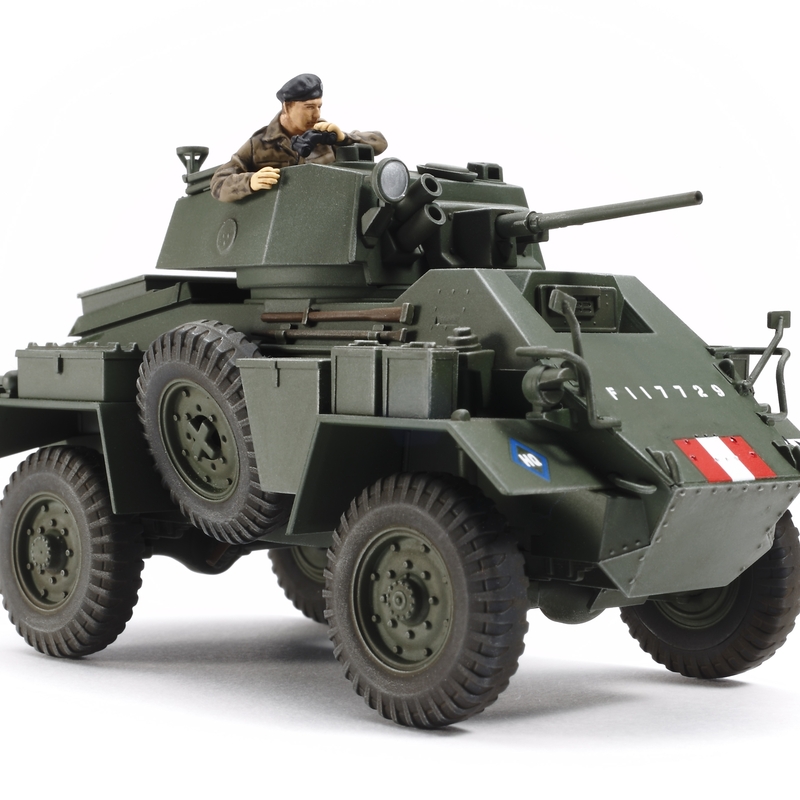 This is a 1/48 scale plastic model assembly kit of the British Mk.IV 7ton armored car. ★Length: 95mm, width: 48mm. ★Extensive study of the real thing ensures that this model captures the sloped form of the Mk.IV with great accuracy. ★An intuitive parts breakdown makes for hassle-free assembly. ★Features a realistic depiction of the vehicle underside. ★Choose to assemble with turret crew hatch open or closed. ★Comes with a commander torso figure. ★Markings included to recreate a Polish 1st Armoured Division vehicle. Special Feature 1 Length: 95mm, width: 48mm. 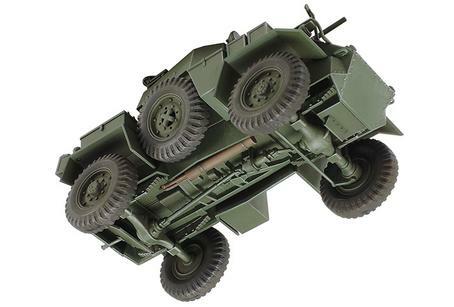 Special Feature 2 The model concisely recreates the form of the 7ton armored car with its distinctive sloped armor, plus a realistic depiction of the 4WD suspension and underside. Special Feature 3 Mk.IV-specific features such as the 37mm gun and right side-mounted spare wheel are captured with great detail. Special Feature 4 Turret commander's hatch can be depicted in open or closed position. 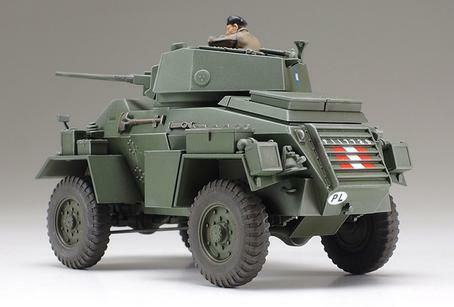 Special Feature 5 The kit includes a commander torso figure, plus decals to depict a Polish Armored Division vehicle.